I’ve always suggested people shop at ALDI if they didn’t want to spend time couponing. When ALDI invited me to participate in their Switch & Save Event a few weeks ago, I jumped a the chance to learn more. Not only did we get to visit a ALDI store but we were able to participate in a blind test taste of several of ALDI’s holiday items. ALDI is challenging you to “Switch & Save” during the holidays and throughout the year to prove that you can find high quality products while saving up to 50%, without clipping a single coupon or scanning any type of loyalty card. 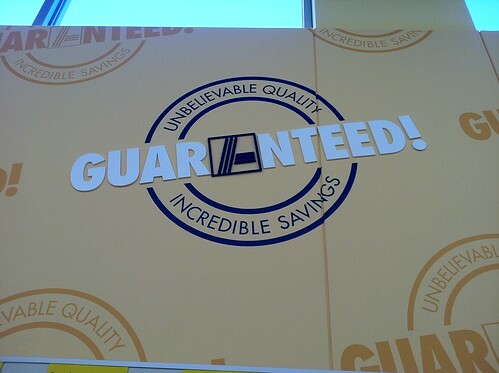 In fact, ALDI is so confident in their products, they offer a double guarantee. If you aren’t satisfied, you will not only receive your money back but you will also receive a replacement product. I don’t know of any other store that offers this type of guarantee. My first question was if the quality is the same or better, how can the prices be so low. We’ve been trained as consumers that higher priced equals better quality. However, this is not necessarily the case. One of the first ways that sticks out in my mind is the $0.25 cart deposit. Simply, deposit a quarter in your cart to have access and you will get it back when you put the cart back in the cart corral. This eliminates having to pay employees to do this task and is really quite simple for consumers to do, especially since the stores are small, which means a smaller parking lot compared to super stores. 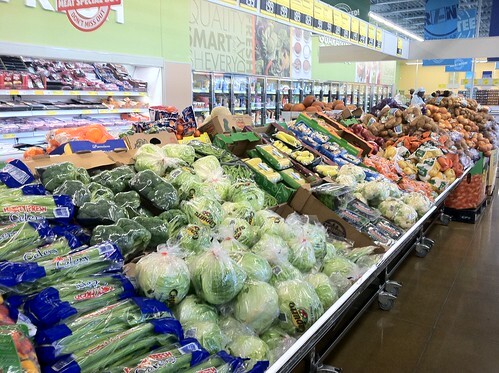 ALDI is able to keep their prices low by stocking only 1400 of the most purchased grocery items so they are able to keep their stores smaller and more controlled. Instead of shelving units, items are packaged so they can be stacked upon each other in the store, which eliminates employee hours from having to manually stock the shelves. Products also have multiple bar codes, which I would have missed if not pointed out, which makes check out a breeze. 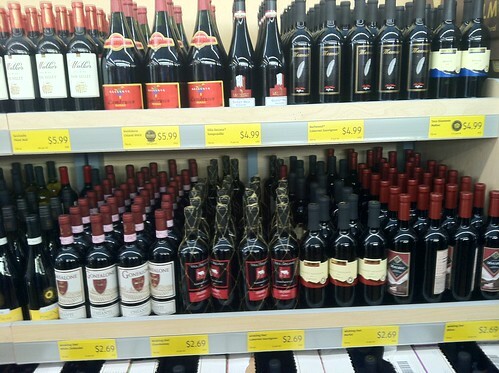 ALDI has a large wine selection at very affordable prices. We taste tested several of the wines the night before and I was impressed with the quality. ALDI has great prices on fresh produce. Their stock will vary slightly by store, region, and season. 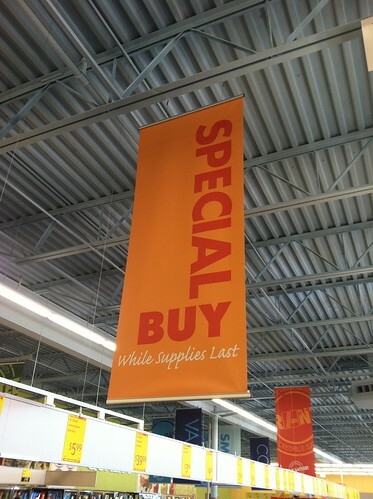 There are also “Special Buys,” which are not overstocks as I once thought but carefully planned purchases for ALDI shoppers. These are seasonal items which are available for a limited time. If these items do sell extremely well, they do consider adding it to the regular line. Next, I’ll share my Switch & Save event….we were the first group of bloggers to ever be allowed in the ALDI test kitchen…. When is Part 2 coming? Can’t wait! I love Aldi’s due to its quick, clean and easy to buy. 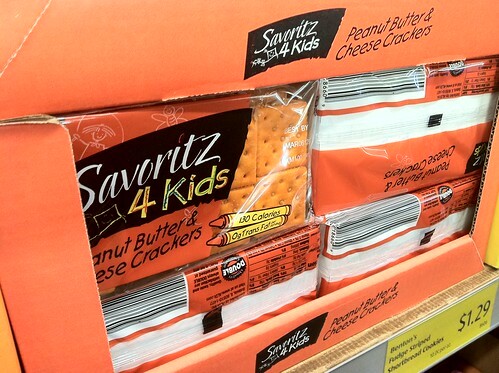 Another store I recommend is Save A Lot! They have great prices (some name brands) and great quality, esp. The meats! Prices keep on going higher and higher and I fear that this is just going to keep on getting worse. These comments are a godsend. I really do read them and use the information given. Aldis is owned by a German Corporation, the started their chain in Europe before hitting America. I believe Aldi is owned by the company who owns Trader Joe’s… they have some REALLY good products w/out all of the junk & toxic poisins in them. Not that potato chips are healthy, but their potato chips have far less junk in them than most other brands, except those you’d pay 4 times the price for, maybe, but even some of those are iffy. 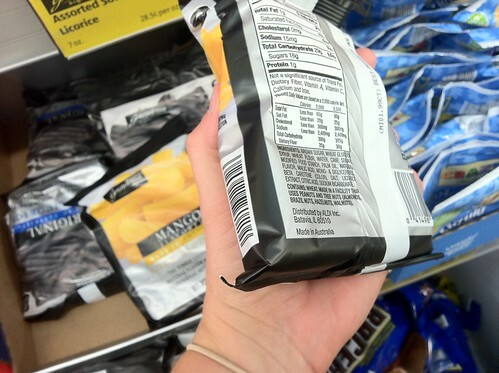 Aldi’s potato chips here are $1.19 for an 11oz bag… WalMart’s chips chock full of harmful chemicals are just under $2 for the same size bag! Not just WM’s chips are that way though… most stores are, but just used that as a comparison. I used to shop Aldi every week & ONLY Aldi for food for many, maany years. Then we moved out to where there was a Super WM & their prices were the same as or even less than Aldi… plus I didn’t have to bag my own groceries w/3 LO’s in tow, worry about blowing my cash budget, etc…. so I switched almost entirely to SWM. Now, we moved again & I am making a transition back to Aldi for some things & will eventually get a lot of items there again… now we are gluten free too, so it makes a challenge to have to learn yet another store’s ingredients, products, etc… but I will do it slowly. I’m so glad someone acknowledged Aldi’s for what they are; a crazy bargain with no pre-planning of coupons! Even though they stock only 1400 items you can almost always find what you need. If you can’t find it, ask someone, their cashiers are super knowledgeable about the store! I buy diapers at Aldi now. For a pack, it is like $5. The important thing is I strongly believe they are JUST as good as Huggies or better in my opinion. In fact, we prefer the Aldi brand for overnight diapers VS Huggies. I love my Aldi store here in SC. I buy bread, can goods and spices. All cheaper then at the regular grocery store when I don’t have a coupon. Thanks for sharing this.